SUNDAY APRIL 28th is EASTER 1. Sung Eucharist at All Saints Fosdyke at 9:30am. Parish Eucharist at 11:00am in SS Peter & Paul Kirton. Today we hear again the story of Thomas who finds it hard to believe that Jesus is alive! I have never been a great fan of the “Doubting Thomas” terminology. I feel it makes light of a very real spiritual and emotional turmoil going on within the life of this disciple and within countless other people throughout history. The term can lead one into the assumption that Thomas must have been a second-rate disciple if not even something worse. But Thomas was not a second-rate disciple. He was a man who had been hurt. He was a man whose hopes had been crushed. Thomas believed in Jesus. He had followed Jesus and had made the decision to live his life by Jesus. Now, Jesus had been killed – even dying the death of a common criminal. All this violence and injustice had crushed Thomas’ hope. So we hear Thomas say, “Unless I see the mark of the nails in his hands and put my fingers into the nail marks and put my hand into his side, I will not believe” (Jn 20:27). But what of you and me? Sunday May 5th is the Archdeacons Visitation and Swearing in of Churchwardens here at Kirton Church at 6:30pm. Can you offer help to assist with refreshments? May 25th in the Town Hall is our United Churches Afternoon Tea with worship at 3:30pm. Free to all. Helpers needed. KIRTON PCC meet at The Vicarage on May 31st at 3:00pm. All reports for this meeting to be sent via email to Fr Paul at least one week before the meeting for distribution to the PCC. Fr Paul wishes to extend his sincere thanks to all who have worked so hard in our three churches to prepare for the Easter Festival. To Altar servers, organists and choir musicians, readers, sides persons and welcome team, to the flower ladies and all who have given of themselves to make our places of worship ready for Easter. It is worth noting that from Palm Sunday to Easter Day over 300 people attended worship in our three rural churches. On Sunday May 12th there will be a delegation from the Royal College of Nursing attending the Parish Eucharist at 11:00am and presenting a bouquet of flowers at the Dame Sarah Swift memorial. The RCN delegation will also be reading at our Eucharist that day. WELCOME TO THE TRIDUUM IN THE KIRTON GROUP OF PARISHES. SUNDAY APRIL 21ST is EASTER SUNDAY. We all know the word Easter, but what does it actually mean? I think a lot of people are aware it has something to do with religion and church, and that there is a long weekend—but is it a celebration? Nearly a billion people will celebrate Easter again this year—so we are talking something really big here. Obviously, it is more than chocolates, Easter eggs or hot cross buns. As we know from the Gospels, Jesus Christ rose from the dead on the third day following his crucifixion, which would be Sunday. His resurrection marks the triumph of good over evil, sin and death. It is the singular event which proves that those who trust in God and accept Christ will be raised from the dead. Since Easter represents the fulfillment of God's promises to mankind, it is the most important holiday on the Christian calendar. We are an Easter People and Alleluia is our song! You are all invited to the regular Pop-In Lunch at Fosdyke Village hall on April 23rd at 12:30pm. Please contact Jon Tofts to book your Lunch. £5 each. All proceeds for Church funds. May 7th final joint meeting with the Methodist Church to plan for the Afternoon tea event. 7:00pm in The Methodist Church. Fr Paul wishes to extend his sincere thanks to all who have worked so hard in our three churches to prepare for the Easter Festival. To Altar servers, organists and choir musicians, readers, sides persons and welcome team, to the flower ladies and all who have given of themselves to make our places of worship ready for Easter. 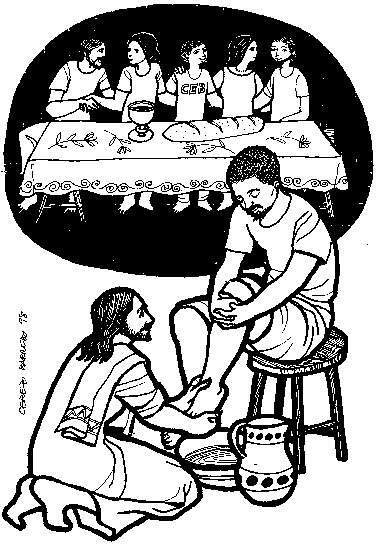 12 Volunteers needed to have their foot washed at the Maundy Thursday Mass of the Last Supper on April 18th at 7pm. See sheet on table in Church. Sunday May 5th is the Archdeacons Visitation and Swearing in of Churchwardens here at Kirton Church at 6:30pm. Can you offer help to assist with refreshements? EASTER FLOWERS – donations for Easter flowers can be given to Maggie or Ronnie asap! Sunday April 7th is the 5th Sunday of Lent. Passion Sunday. Parish Eucharist at Kirton at 11:00am followed by Coffee. The Way of the Cross at Kirton every Saturday of Lent at 10:00am. Fridays from 4-30pm until Evening Prayer at 5pm we shall have Rosary and Exposition. KIRTON Parish APM 2019 Both our Annual Parish Meeting (APM) and Annual Parochial Church Meeting (APCM) take place after the Parish Eucharist today. The Chrism Mass. In Holy Week our Bishops gather with their clergy to celebrate the Chrism Mass. This Mass manifests the unity of the priests with their bishop. Here the bishop blesses three oils — the oil of catechumens, the oil of the infirm and holy chrism which will be used in the administration of the sacraments throughout the diocese for the year. You can join us at Lincoln Cathedral on April 16th at 11am followed by lunch. (Numbers needed) or join us at The Shrine of Our Lady of Walsingham for the Richborough Chrism Mass with Fosdyke on April 17th at Noon. Lunch is also available but numbers are required. See Fr Paul for details. HOLY WEEK - April 14th PALM SUNDAY - SS Peter & Paul in Kirton at 11:00am. The Parish Eucharist with Blessing of the Palms, Palm Gospel and Procession. The Solemn Mass of Easter Day and Procession at 11:00am in SS Peter & Paul Kirton. Sunday March 31st is the 4th Sunday of Lent. Mothering Sunday. Family Mass in Algarkirk VillageHall at 9-30am and Parish Eucharist at Kirton at 11:00am followed by Coffee. KIRTON Parish APM 2019 Both our Annual Parish Meeting (APM) and Annual Parochial Church Meeting (APCM) take place next week on Sunday 7th April after the Parish Eucharist. If you are interested in being a Churchwarden, a member of the Parochial Church Council (PCC) or being our parish’s Deanery Synod Representative to the Holland Deanery please have a word with Fr. Paul. Forms are available at the back of church. This is an opportunity for you to take an active role in the running of the church. If you would like a less formal opportunity to serve God, as a Server, Reader, Sidesperson etc, please have a word with Fr. Paul. PCC MEETING - TODAY Sunday 31st March - in church after the service to accept the accounts. Sung Eucharist and Palm Procession in All Saints Church in Fosdyke at 9:30am. SS Peter & Paul in Kirton at 11:00am. The Parish Eucharist with Blessing of the Palms, Palm Gospel and Procession. 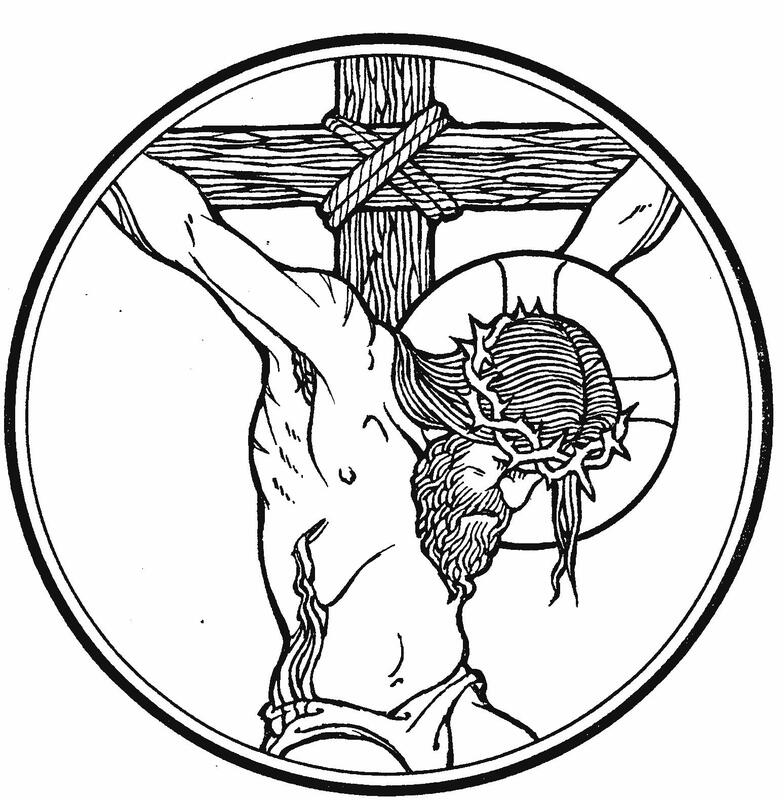 April 18th Maundy Thursday Mass of the Last Supper and Stripping of the Altar at Noon in All Saints Church in Fosdyke. In SS Peter & Paul in Kirton at 7:00pm Mass of the Last Supper, Footwashing and Stripping of the Altar followed by the Watch of Prayer at the Altar of Repose until 10:00pm. The Way of the Cross for Good Friday at Noon in All Saints Church in Fosdyke. 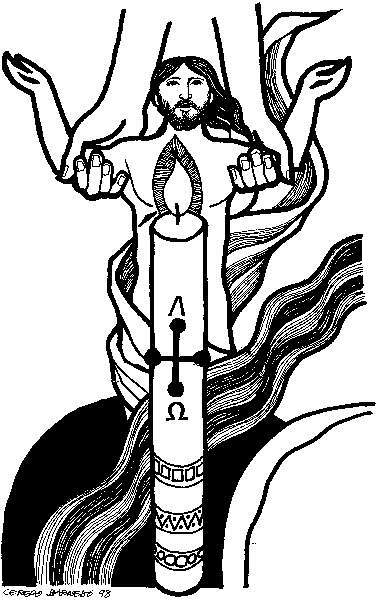 The Great Easter Vigil for the Kirton Group followed by Wine and Nibbles at 7-00pm Holy Saturday. Solemn Mass of Easter Day and Procession at 9:30am in All Saints in Fosdyke. Sunday March 24th is the 3rd Sunday of Lent. Parish Eucharist at Kirton at 11:00am followed by Coffee. 1:30pm Messy Church at Algarkirk Village Hall. Tuesday March 26th is Algarkirk PCC meeting at The Village Hall. Incumbents and Treasurers Day Seminar at St Mary’s Pinchbeck. – all day. If you are interested in being a Churchwarden, a member of the Parochial Church Council (PCC) or being our parish’s Deanery Synod Representative to the Holland Deanery please have a word with Fr. Paul. Forms are available at the back of church. The Way of the Cross at Kirton every Saturday of Lent at 10:00am. On Fridays from 4-30pm until Evening Prayer at 5pm we shall have Rosary and Exposition of the Blessed Sacrament. Please give some extra time to your Lenten disciplines. KIRTON Parish APM 2019 Both our Annual Parish Meeting (APM) and Annual Parochial Church Meeting (APCM) take place in three weeks’ time (7th April) after the Parish Eucharist. If you are interested in being a Churchwarden, a member of the Parochial Church Council (PCC) or being our parish’s Deanery Synod Representative to the Holland Deanery please have a word with Fr. Paul. Forms are available at the back of church. This is an opportunity for you to take an active role in the running of the church. If you would like a less formal opportunity to serve God, as a Server, Reader, Sidesperson etc, please have a word with Fr. Paul. LENT, HOLY WEEK AND EASTER We meet at The Vicarage starting at 6:30pm and we embark on a cinematic journey to discover where we see God in everyday life events. We will watch the movie, then discuss in a group the themes and theological questions raised for us this Lent. The Chrism Mass. Each year in Holy Week our Bishops gather with the clergy of the Diocese to celebrate the Chrism Mass. This Mass manifests the unity of the priests with their bishop. Here the bishop blesses three oils — the oil of catechumens, the oil of the infirm and holy chrism which will be used in the administration of the sacraments throughout the diocese for the year. As our bishops bless these three oils at the Chrism Mass this year, our hearts turn to our gracious Lord who bestows His infinite love and mercy to us through these sacraments. Let us also pray for our bishops and the priests who are the ministers of the sacraments in the parish, that they may be the humble and generous servants of the Lord. You can join us at Lincoln Cathedral on April 16th at 11am followed by lunch. (Numbers needed) or join us at The Shrine of Our Lady of Walsingham for the Richborough Chrism Mass with Fosdyke on April 17th at Noon. Lunch is also available but numbers are required. See Fr Paul for details. Sunday March 17th is the 1st Sunday of Lent. Tuesday March 19th is Kirton PCC meeting at The Vicarage.